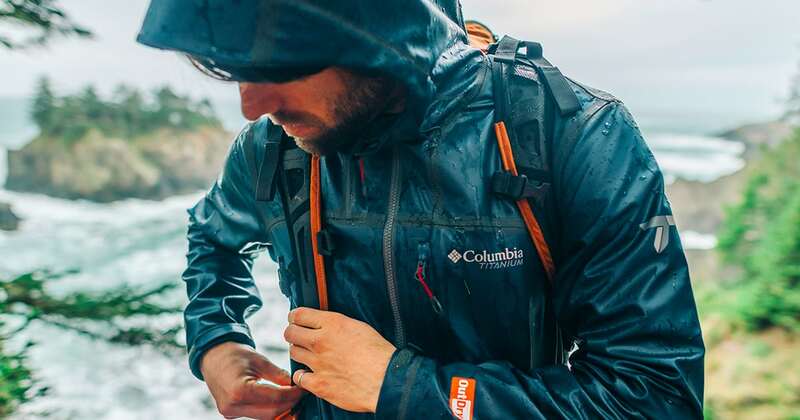 Win some waterproofs for autumn and winter hiking in our Columbia Outdry Giveaway this September, October and November. Our good friends in Columbia Sportswear have yet again come through with the goods and have given us 3 sets of waterproof clothing to give to 3 lucky winners iver the coming months. Each prize consists of a Columbia Waterproof rainjacket, a pair of Columbia waterproof over trousers and a nice set of Columbia Outdry trekking shoes with a few other accessories thhrownin to bring each month’s prize to over €500.00. As worn by some of the best ultrarunners alive, the Columbia OutDry Ex-Gold waterproof jacket has been nicknamed the “Eoin Keith” as he is rarely seen not wearing his, either when participating in events like the UTMB or The Spine race or just training along the tracks of the Wicklow way. OutDry is also an excellent waterproof solution for footwear as is is bonded directly to the face fabric of the shoe and not used in a bootie constuction inside the shoe like a lot of other waterproof membranes, in fact, some of the designs that Columbia use in their shoes are in essence just an OutDry waterproof jacket attached to a sturdy sole unit for maximum breathability and lightness. If you’d like to win one of these sets, read on below and answer a very easy question. Answer correctly and you could become one of our monthly Columbia Outdry giveaway winners. The following are the terms and conditions of the Great Outdoors Columbia Outdry Giveaway Autumn 2018. •All entrants will have their email address added to both our mailing list and that of Columbia Sportswear and in line win GDPR regulations, this information can be deleted if requested. To unsubscribe in the future, simply use the unsubscribe link in any of the emails you receive. •The winner will be notified via a phonecall and prizes must be collected in-store within 30 days of their entry or the prize will be considered forfeit and used in an alternative competition in the future. •The winner will be chosen at random from all those who answer the qualifying question correctly each month and all correct entries are valid for each month’s draw. •Closing date for all applications is Midnight on the last Thursday in September, then in October and again in November.